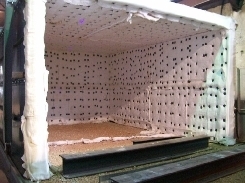 Electric heater used on industrial hopper throat. 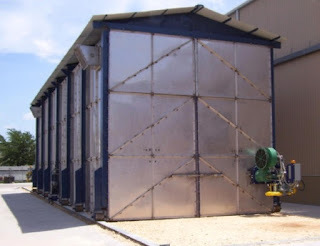 Process heating operations supply thermal energy to transform materials like metal, plastic, rubber, limestone (cement), glass, ceramics, and biomass into a wide variety of industrial and consumer products. 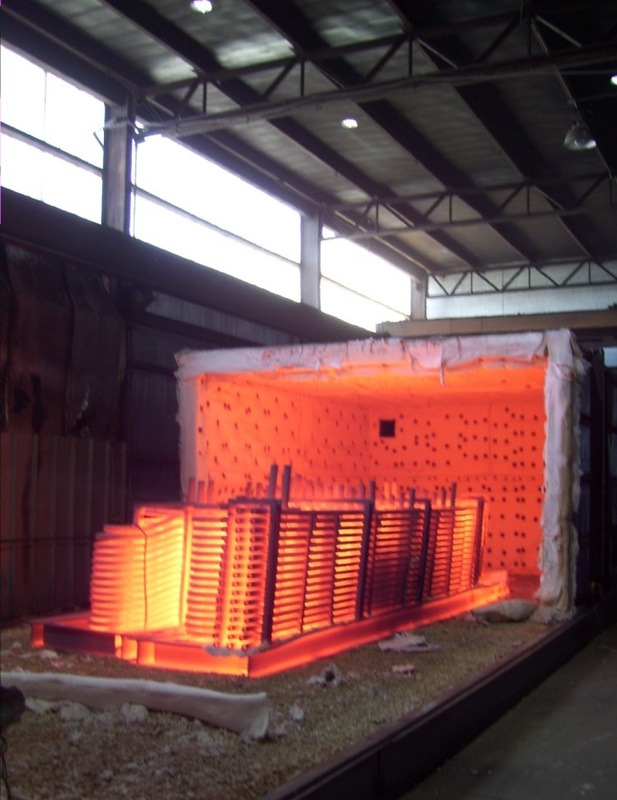 Industrial heating processes include drying, heat treating, curing and forming, calcining, smelting, and other operations. Examples of process heating systems include furnaces, ovens, dryers, heaters, and kilns. 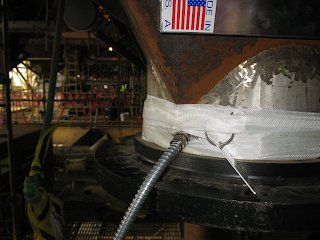 Many of these systems are mature technologies used ubiquitously throughout manufacturing. Process heating is used to raise or maintain the temperature of substances involved in the manufacturing process, such as the use of heat to melt scrap in electric arc furnaces to make steel, to separate components of crude oil in petroleum refining, to dry paint in automobile manufacturing, or to process food for packaging. Electricity-based process heating systems transform materials through direct and indirect processes. For example, electric current is applied directly to suitable materials to achieve direct resistance heating; alternatively, high-frequency energy can be inductively coupled to suitable materials to achieve indirect heating. Electricity-based process heating systems are used for heating, drying, curing, melting, and forming. Examples of electricity-based process heating technologies include electric arc furnace technology, infrared radiation, induction heating, radio frequency drying, laser heating, and microwave processing. Gas burners for process heating. Fuel-based process heating systems generate heat by combusting solid, liquid, or gaseous fuels, then transferring the heat directly or indirectly to the material. Hot combustion gases are either placed in direct contact with the material (i.e., direct heating via convection) or routed through radiant burner tubes or panels that rely on radiant heat transfer to keep the gases separate from the material (i.e., indirect heating). Examples of fuel-based process heating equipment include furnaces, ovens, kilns, melters, and high-temperature generators. 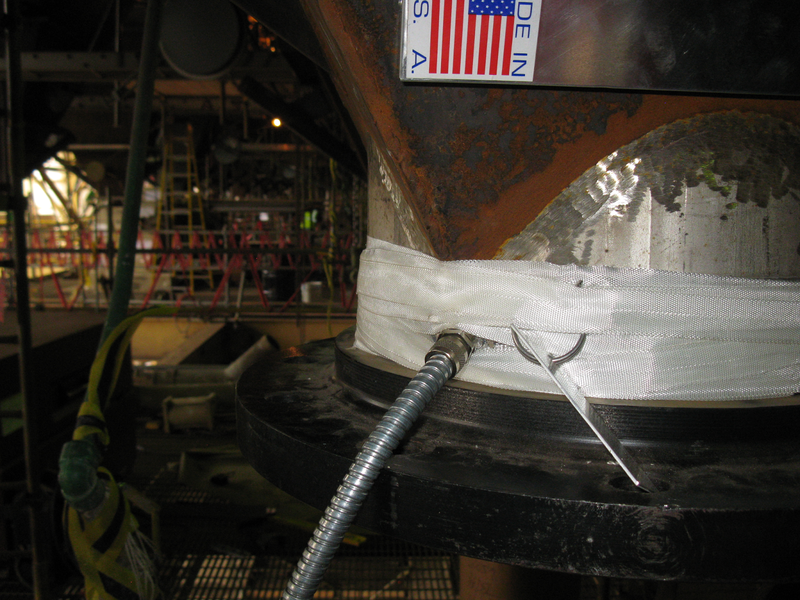 For information on any industrial heating application, contact Hotfoil-EHS at 609.588.0900 or visit http://www.hotfoilehs.com.